We don’t think of alcohol as a drug, but it is. Alcohol is often thought of as a stimulant, because it lowers inhibitions, which may mean that you take chances you wouldn’t otherwise take. However, alcohol actually acts as a depressant on your central nervous system, slowing down brain functioning. There are two kinds of alcohol in common use. Ethyl alcohol is the kind present in beer, wine, spirits and liqueurs. Methyl alcohol is completely different and is found in solvents, paint removers, antifreeze and other household and industrial products. It is a poison and should never be consumed. Ethyl or beverage alcohol is the most popular drug in Alberta. About 75% of people over the age of 15 drink to some extent. 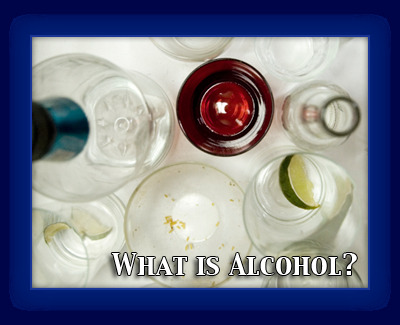 Whether they drink beer, wine or spirits, the basic ingredient, ethyl alcohol, is the same. A 12-ounce (340 mL) bottle of beer, a five-ounce (140 mL) glass of wine or a standard shot (1.5 ounces) of spirits such as whiskey or rum all have the same amount of alcohol. A common effect of drinking alcohol is a sense of well-being. This feeling could be accompanied by drowsiness, dizziness and flushing. After one or two drinks, you may not appear drunk, but you have already lost some of your coordination skills. Drinking more alcohol will affect your speech, balance and vision. When a person drinks too much, they often wake up with a hangover. A hangover is actually alcohol withdrawal. Beginning eight to 12 hours after you stop drinking, a headache accompanied by shakiness and nausea may result. Short-term loss of memory (blackouts) can also occur after a bout of drinking. Remember, alcohol is not safe to use when you’re taking other drugs. Even a small amount of alcohol can change the effect of another drug. Drinking heavily over a long period of time can lead to serious health problems such as stomach ulcers, sexual problems, liver disease, brain damage, and many kinds of cancer. Excessive drinking is often responsible for financial, legal and family problems. Because no safe level of drinking during pregnancy has been established, experts recommend no alcohol during pregnancy or while breastfeeding. People who use alcohol may find that they need more and more to get the same effect. Regular users of alcohol may not appear to be drunk, but that doesn’t mean it’s safe for them to drive a car or to do other tasks. If you suddenly stop using alcohol after a period of use, you may have withdrawal symptoms. These may vary from insomnia, jumpiness and sweating to more severe symptoms such as tremors, hallucinations, and convulsions.